Home Moto "The fall of Márquez shows that he does not have everything under control"
"The fall of Márquez shows that he does not have everything under control"
"Most of the time, yes, but not always, this is positive for us and for the championship," says Dovizioso about Marc's mistake in Austin. Andrea Dovizioso has starred with Márquez the last two fights for the MotoGP World Championship title that both times fell on the side of the Repsol Honda rider. 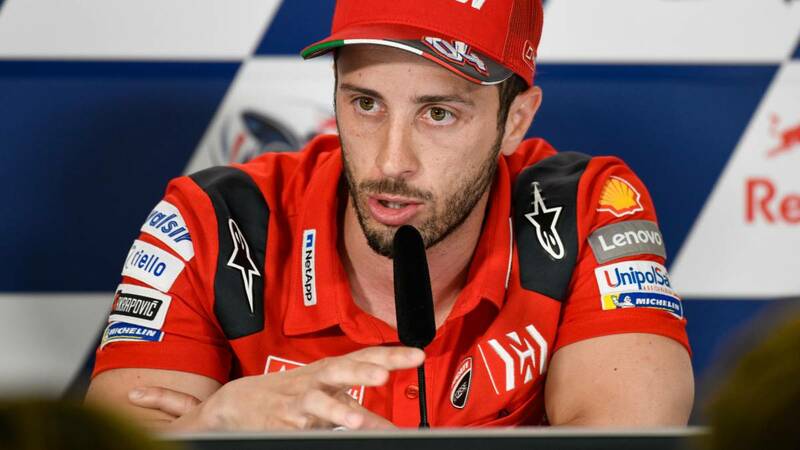 In the first race of this 2019, Dovi won the fight against Marc in Qatar, in Argentina the ilerdense had no rival and in Austin it seemed that it was going to be more of the same. But Márquez made a mistake and went to the floor when he was comfortably leading in solitary something that to Dovizioso seems to him to be a sign that Marc is human. "I think Marc's fall shows that he does not have everything under control. Sometimes yes, but not always, this is positive for us because in the first two races he did something incredible, it was very fast Your mistake is really positive for the championship, it is the confirmation that we can fight for the title ", says the Italian in statements collected by 'Autosport'. seeing the final result of the Texas race, Dovizioso draws the conclusion that this season there will be more candidates to fight for the title: "I think Suzuki and Rins will fight for the World Cup, Valentino sure and Marc too, I think these three drivers and I have a great opportunity to fight for the championship, it's not like in the last few years when we just ho against Marc at the end of the championship ".